Mr. Protter is a partner and leads the firm’s Business and Consumer Law practice areas, in addition to practicing municipal law, employment law and general litigation law. Howard has long been recognized for his municipal law knowledge and experience. He was Attorney for the Village of Cornwall-on-Hudson 1982 – 2008 and has been the Tuxedo Town Counsel since 1996. 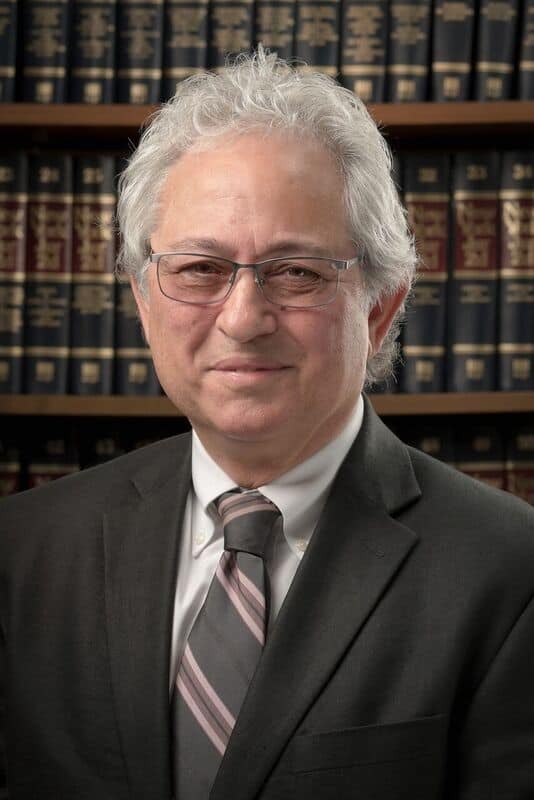 His primary practice has been devoted to municipal law and litigation, representing local governments and municipal officials in Orange, Ulster, Sullivan and Putnam counties since 1983 in various types of municipal litigation, labor relations, disciplinary proceedings, land use and environmental matters. His legal and practical advice is regularly sought by governmental officials and municipal attorneys throughout the Hudson Valley. Mr. Protter’s business, international and intellectual law practice has involved a wide variety of commercial enterprises and business transactions, including importing goods and licensing in the US, Netherlands, Italy, England, and France. He assists private individuals and closely held businesses with many types of real estate and commercial transactions, including negotiation, sale, purchase, and leasing. Among his many gifts as an attorney is his ability to build lasting relationships with his clients and to help them navigate the myriad of issues that every business owner faces. Mr. Protter is a seasoned negotiator, having represented management in labor negotiations for many years. He brings those same skills to his commercial clients’ benefit in dispute resolution and deal making. Howard has a significant Guardianship practice and is designated by the Presiding Judge of the Appellate Division as a Court Examiner under New York’s Mental Hygiene Law to review the reports required to be filed by Guardians in the Second Judicial Department and thereby assists Guardians in the performance of their responsibilities. He has frequently been designated as a court appointed receiver and has handled some of the larger receiverships in the Valley. Howard has been actively involved in land preservation in the Hudson Valley throughout his legal career, working with property owners and land trusts to preserve farmland and significant habitat in Communities throughout Orange County. Howard stepped down in September 2012 as the law firm’s Managing Partner, a position he held since January 2000. Under Howard’s leadership and entrepreneurial acumen, the firm experienced considerable growth and name recognition throughout the Hudson Valley, becoming one of the largest general practice law firms between Westchester County and Albany.